My Favorites - Text to Speech Web Browser. 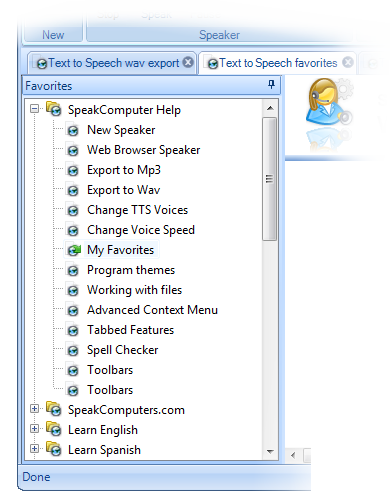 The My Favorites Feature simply takes a read only copy of your Internet Explorer favorites and makes them available for you within the Speak Computer Web Browser application. Now you can read your favorite Favorites with Text to Speech. The My Favorites also includes online help links for the application.